Real estate investments are at the forefront of all profitable investments. Bangalore has been successful in attracting residents and realtors from all around the county for various reasons. Bangalore enjoys beautiful climate throughout the year and provides excellent employment opportunities which is a bonus for residents planning for long-term investment opportunities. Prestige Lakeside Habitat by Prestige group is one such project that is strategically located at Whitefield in Bangalore. The project offers 1, 2, 3 and 4 BHK apartments that are spread over 102 acres of land offering 3426 luxurious residential spaces. Prestige Lakeside Habitat also offers 271 luxury villas that are enveloped by landscaped gardens contributing to the eco-friendly factor within the premises. They have incorporated a Disney theme for the project which is sure to spread an aura of residing in a fairytale. The project is in close proximity to some of the best schools, colleges and medical institutions which contributes to the credibility of the project. With fascinating amenities and features provided at the site, customers are now eager than over to partner with Prestige Lakeside Habitat for long-term benefits. 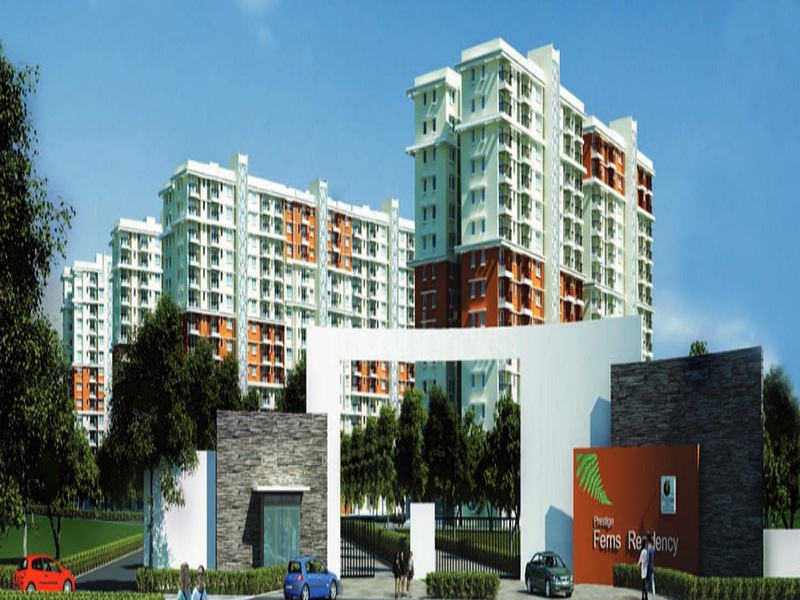 Whitefield is a fast and developing locality which is surrounded by plenty of real estate developers. Residents are quick to grab on to profitable opportunities for a happier future. With the introduction of Bangalore Metro rail services, the project enjoys impeccable connectivity to the rest of the city. Residents, more often than not look for properties which are located further out from the city for a better lifestyle. Prestige Lakeside Habitat which is located at Whitefield is surrounded by pristine water bodies that enable residents to live in a calm and secluded environment. Prestige as a group has earned its recognition in creating some of the finest real estate project across southern India and residents are more than happy to be associated with such a prestigious brand for a secured future. Whitefield, a suburb in the eastern zone of the city is housing many IT giants and other companies in various verticals. The presence of these companies has played a significant role in the progress of the locality's residential market. Corporate migration has escalated the sales of existing housing units and has led to the development of new projects. Additionally factors like improved connectivity, ferrous infrastructure, improved socio-economic conditions have also gained the attention of both developers and potential homebuyers. Bangalore, a silicon capital of India has been witnessing the construction of many luxurious residential projects. This development in the city is due to many factors like rapid urbanization, an influx of global lifestyle, improved connectivity, infrastructure, civic amenities. Top notched developers and investors scout for land parcels to construct their ambitious residential projects. Therefore, buoyed with positive sentiments, the city has welcomed people from different life to reside and pursue their dreams. Pleasant soothing climatic conditions of the place, make it a perfect balance to live and work. Amenities form the crux of a real estate project. Residents look for real estate investment opportunities further out from the city so they lead a calm and secluded life. In such situations, amenities provided at the project ultimately decide the purchase decision of the customers. The amenities at any real estate project should be devised in such a way that it does not come in the way of convenience, comfort and safety. Some of the Prestige Lakeside Habitat amenities comprise of an equipped gymnasium, swimming pool for kids and adults, jogging tracks to be at your physical best, 100% power backup for elevators and common areas, club house for weekly/monthly celebrations, 24/7 security services with manned security personnel at the entry and exits, children’s play area and CCTV coverage at all times for monitoring resident movement and safety. Other benefits are offered at the site such as rainwater harvesting and organic ways of disposing garbage. Customers are encouraged to practice organic ways of living which ensures a eco-friendly environment within the premises. Prestige has come a long way as far as real estate developments has concerned. They have spread their operations to some of the best cities in Southern India and have continued to pursue their passion of creating magnificent residential and commercial spaces for long-term profitable investments. From its inception in 1986, Prestige has incorporated some of the best cutting-edge technology and innovation techniques that are primarily directed to create and not construct fine living spaces for residents looking for properties for a protected future. The 210 project completed spanning across 80 million sq.ft, the group has now 53 ongoing projects spread across 54 million sq.ft and 35 upcoming projects that spans across a whopping 48 million sq.ft. As for the financial year 2015, the group’s annual turnover exceeds well more than Rs. 3518 Cr. Prestige, with its high-end residential projects has set high benchmarks when it comes to delivering nothing but the best services to residents looking for realty benefits. They have pioneered in creating amazing architecture marvels across major cities in South India. Prestige has also been successful in creating beautiful living spaces in Bangalore. For instance, Prestige Acropolis is a tribute to Greek-style architecture and was rated as one of the premium residential projects in Bangalore. Similarly, Prestige Ozone was rated as one of the first gated communities in Bangalore which improves long-standing relationships with key clients. The group has further spread its wings to the commercial and entertainment sector. When one thinks of commercial spaces, one cannot forget the iconic “Forum” entertainment multiplexes that are spread across major localities in Bangalore. They have conveyed a clear message of promoting customer trust and well-being with all of their projects which is always good to attract key potential investors.